iPad mini 5 And iPad Air 3 Feature Apple's A12 Bionic In A BIG Upgrade! Just hours after the Apple store went down earlier today, the Cupertino tech giant has now refreshed its iPad mini and iPad Air tablets. Apple last updated the iPad mini in 2015, and today’s upgrade marks the fifth iteration of the tablet. 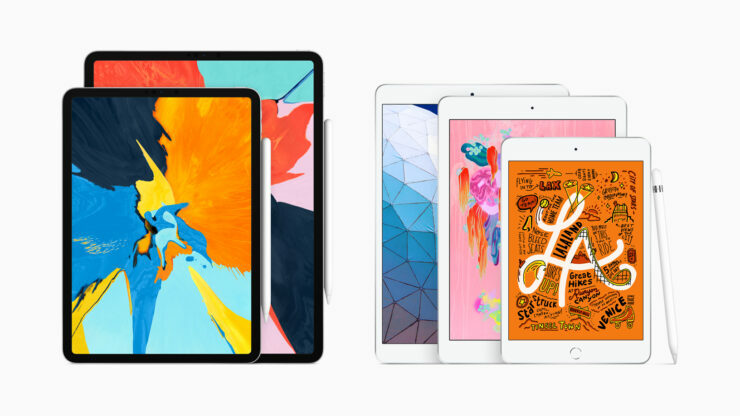 The iPad Air in comparison first launched in 2013 and was then upgraded with the Apple A8X – the company’s first mobile processor to feature three cores. Now, Apple has refreshed both of these gadgets. Head over below for all the details. Well folks, if anyone was let down by Apple’s decision to equip the iPad 6 with the A10 processor, the company has made up for it now. 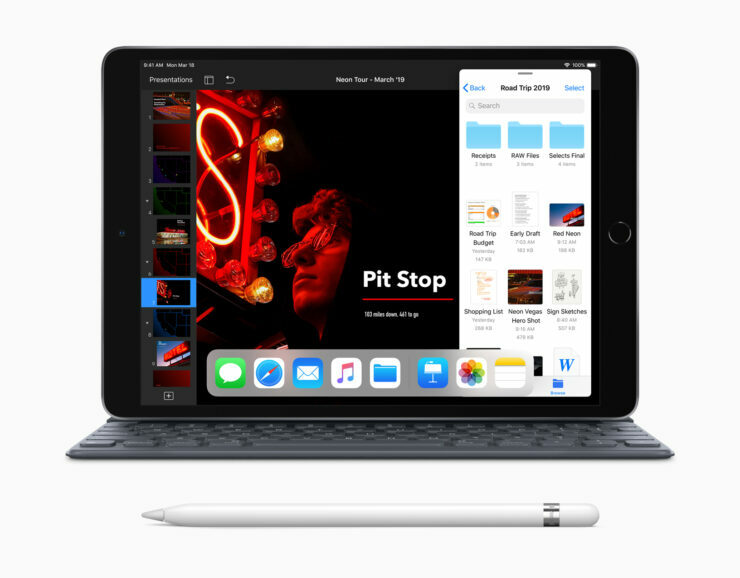 In a major overhaul for the iPad mini and iPad Air tablets, Apple has announced the iPad Air 3 and iPad mini 5 with the A12 processor. Apple’s A12 features 7 billion transistors and a 5 Trillion Operations Per Second Neural Engine. Both the tablets also feature Apple’s proprietary True Tone display technology which senses ambient light and adjust the color composition displayed by the device accordingly. It’s a big upgrade for both the tablets particularly as Apple’s 2017 MacBook Pro notebooks do not feature the technology. At the camera end, the iPad mini 5 comes with an 8-megapixel shooter that can record video at 1080p. The iPad Air 3 has a similar camera, which is a bit of a letdown given the difference in the tablets’ form factor. The cameras on both iPads will do wonders for AR particularly as they’re paired with the 7nm A12 processor. Additionally, the front camera of the iPad Air 3 and iPad mini 5 has a 7-megapixel resolution and is geared towards Group Face Time. The tablets also feature a dual microphone and will support the Apple Pencil. However, neither of them features Face ID, as Apple chooses to retain capacitive fingerprint recognition on the tablets. Moving towards their best feature, the two iPads have a vastly upgraded display over their predecessors. The iPad mini has a 7.9″ LED backlit display, and the iPad Air has a similar 10.5″ panel. Both these display include support for the DCI-P3 color gamut, and both have a 500 nits maximum brightness with 1.8% reflectivity. Concluding with the design, the iPad mini 5 measures 6.1×203.2×134.8mm and the iPad Air 3 measures 6.1×250.6×174.1mm. It’s interesting that Apple has chosen to keep the thickness of both these tablets similar. Both have a 3.5mm earphone jack and the sleep button at the top, and volume controls on the right. They also support Apple’s proprietary lightning connector and have stereo speakers on the bottom. 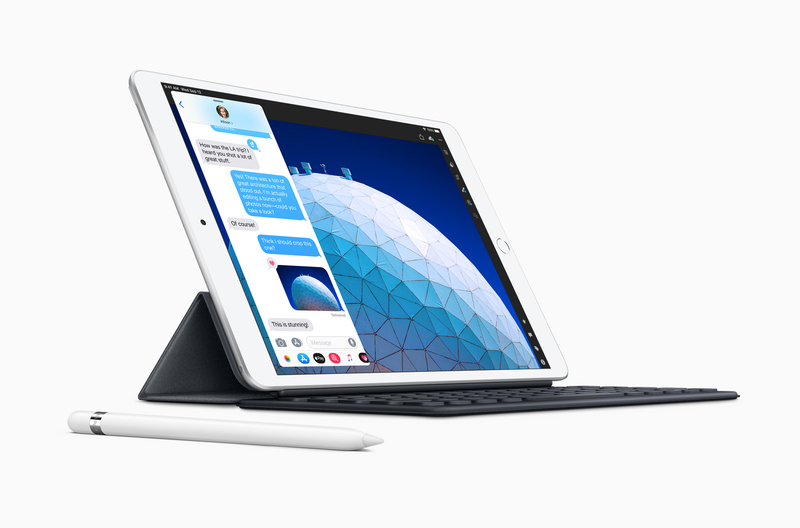 However, while the iPad Air also features a smart connector, the iPad mini does not. The tablets come with 64GB and 256GB internal storage options. The iPad mini starts at $399 for the WiFi and at $529 for the cellular variant. The iPad Air starts at $499 for the WiFi and at $629 for the cellular variants. Both tablets are available in Silver, Space Gray and Gold finishes. *The original piece listed the starting price of the iPad mini as $329. This has now been corrected.